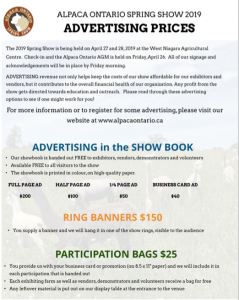 There are a few ways for you to advertise you and your business at the Spring Show. The SHOWBOOK is offered free to all exhibitors, vendors and visitors… we print 250 copies and they are all gone by the end of the weekend. Or you can have a banner put up in one or both of our show rings, on display for all the exhibitors and visitors to the show for the entire weekend. 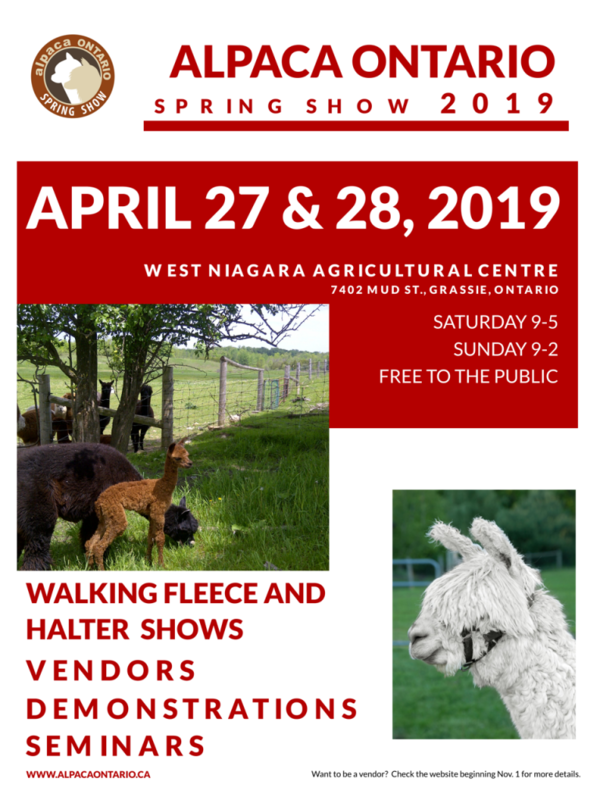 We also offer free bags to each of the participants in the show – exhibitors, vendors, demonstrators – which includes all the information they need to know for the weekend. Each bag also contains business cards, advertisements and promotional materials from our advertisers. Check out this brochure for more details! Deadline for registration is April 5.